Little girls are the apple of their daddy's eye, and every baby girl looks adorable in a little flowered hat. 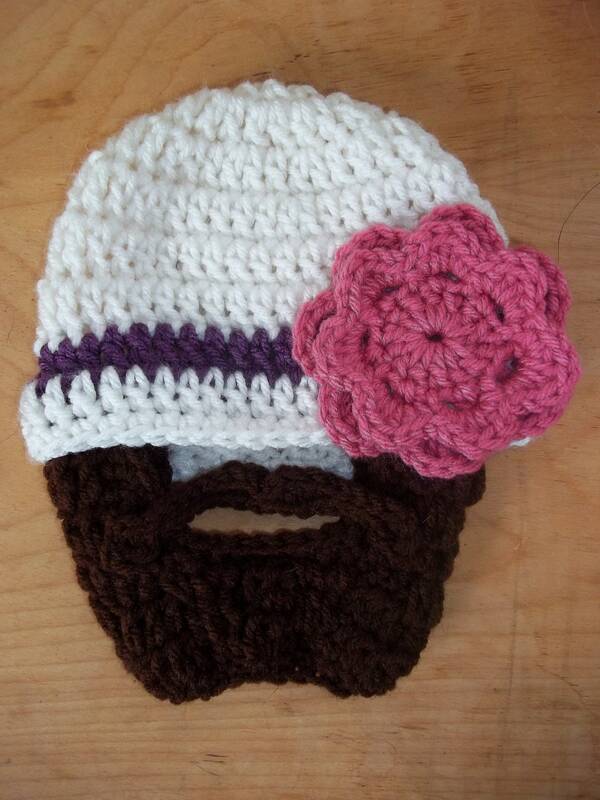 This hat just adds a little extra flair. Daddy's little girl can look just like his little mini me! 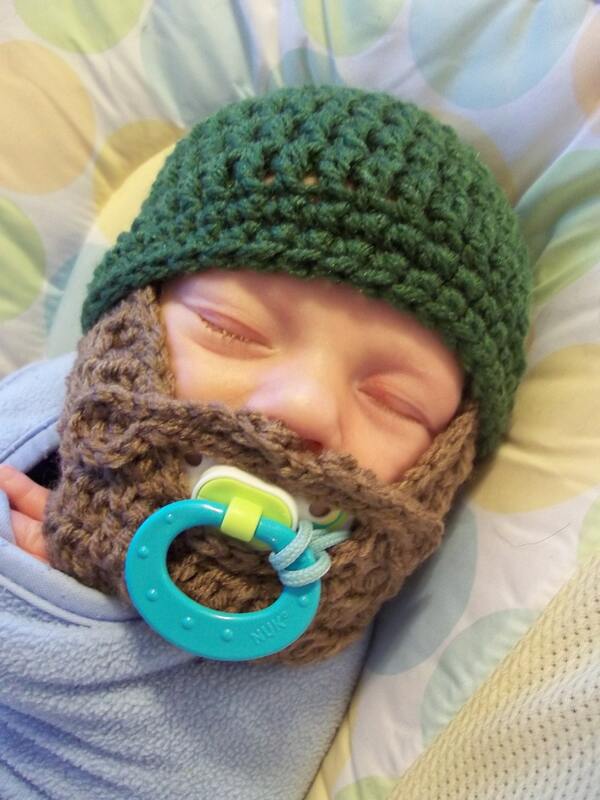 What better way to make Dad laugh and feel extra special? 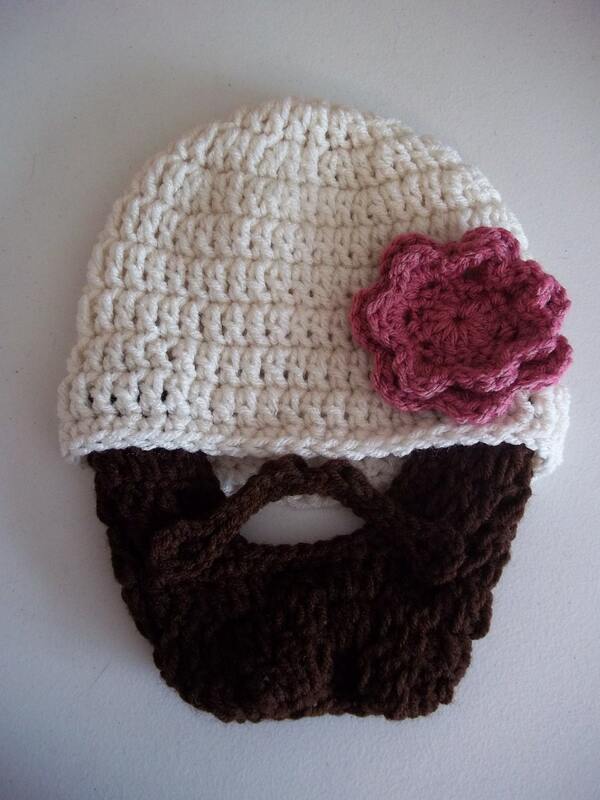 This hat could be used to let a new dad know he is having a baby girl, as a great new Father's Day gift, or even as just a little pick me up or funny prop. 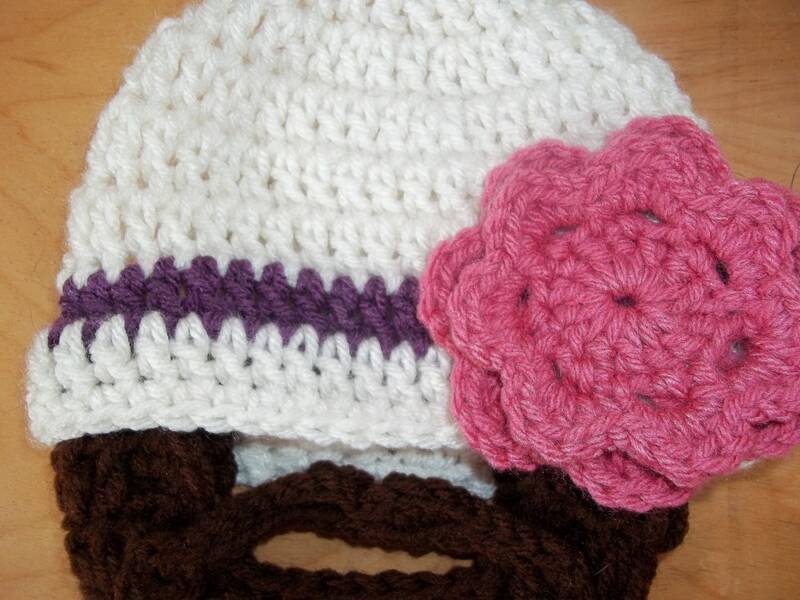 This hat features a rose pink flower on an off white hat with a dark purple stripe. Don't see a color you like? I welcome custom orders! Hit that Request Custom Order button and send me a message. 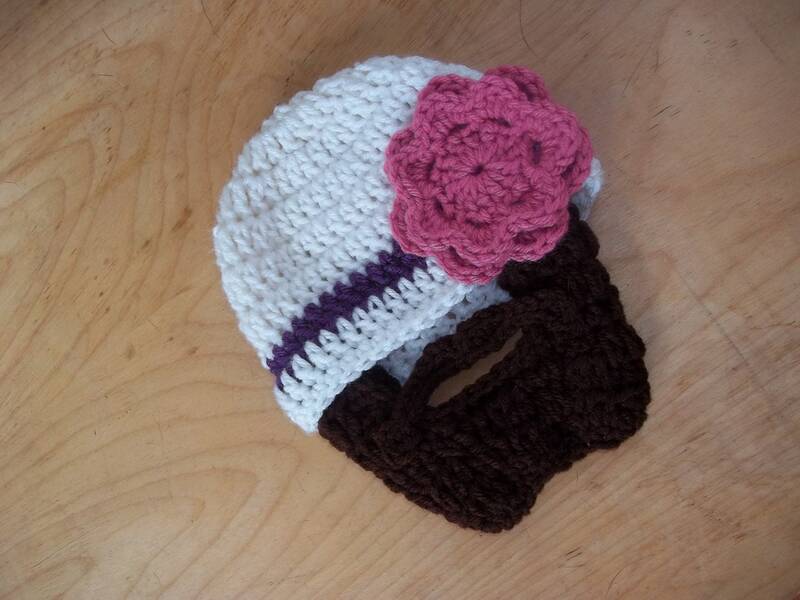 This hat can be made in nearly any color you can think of.